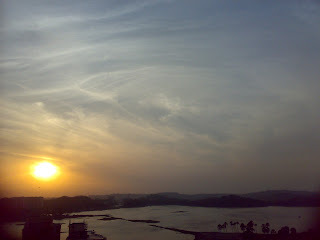 Viewing this stupendous sunrise everyday from my balcony it inspires me, and feels me with enthusiasm. 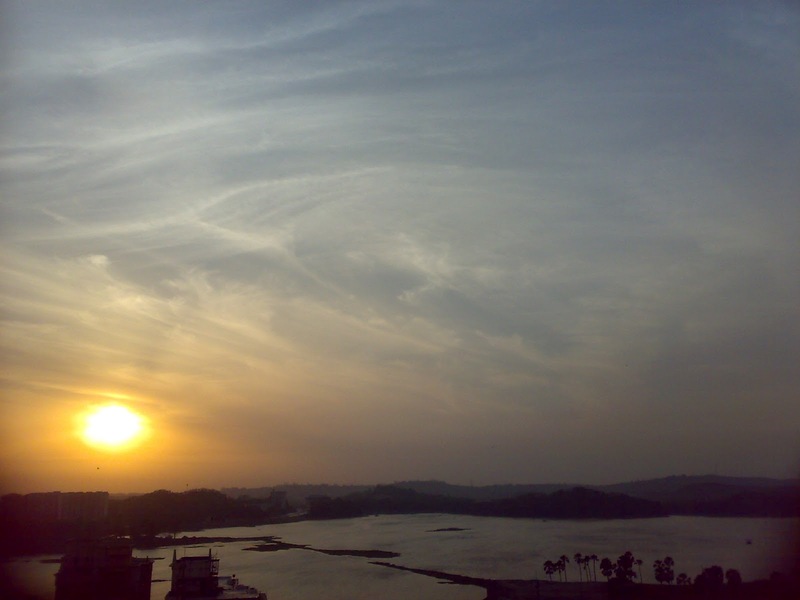 The Powai Lake is probably the most beautiful view to live by in the crowded suburban areas. Hiranandani Complex is no less from country sides of Europe with shopping arcades, cafes by the corner, and broad clean roadways.